This photo was taken while Great Eastern and Great Norther Joint Line (GN&GEJR) to Spalding line from March was open. 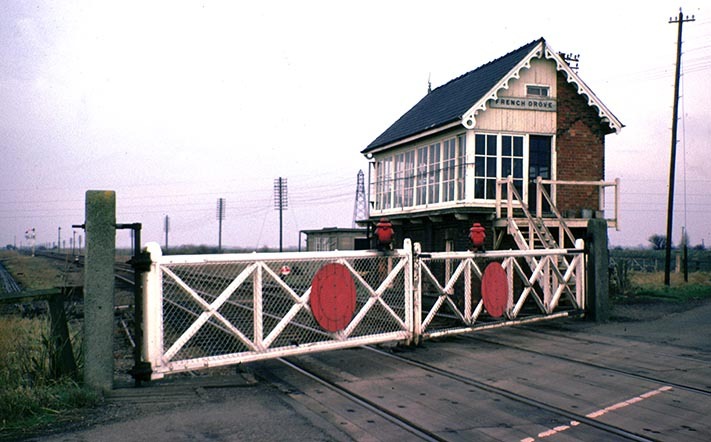 The level crossing gates had been replaced with lifting barriers. 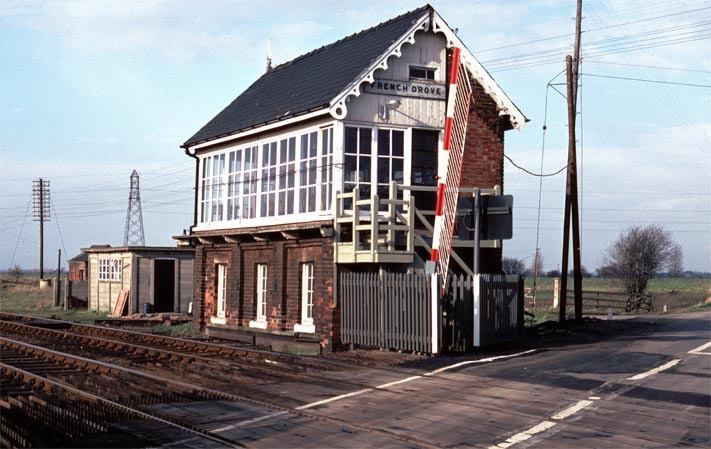 French Drove signal box when it still had level crossing gates. French Drove railway station (closed) while the the line was still open. 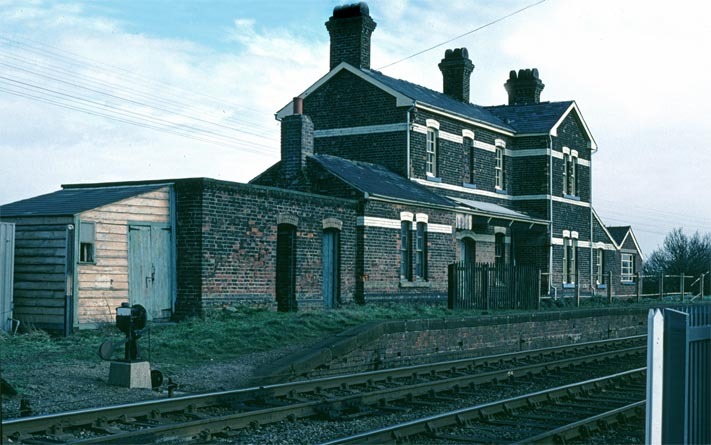 The Great Eastern and Great Northern Joint Line (GN&GEJR) railway line from March to Spalding closed in 1982. The photos in this part were all taken on 35mm slide film.